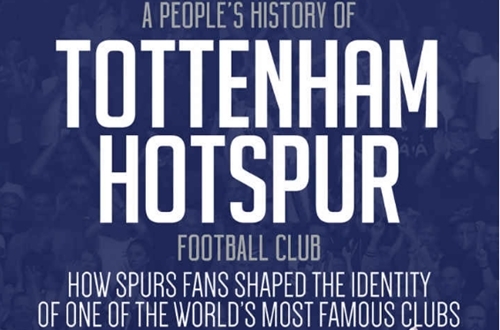 A People’s History of Tottenham Hotspur Football Club, by Martin Cloake and Alan Fisher, is the first historical account of the club written entirely from the perspective of supporters. The book charts the role fans have played in shaping Spurs from surprisingly middle-class beginnings in 1882 to their present standing as one of the biggest clubs in the Premier League. Along the way there have been bumps in the road – including early injustices at the hands of the authorities, near bankruptcy in the late 1980s and the disillusionment caused by the proposed move to Stratford – but Spurs fans have remained a constant, vital influence on the club. When Saturday Comes changed the face of football writing in Britain. It inspired and empowered Spurs fans like Stuart Mutler. “I sent off for it, and straight away – from learning that people were setting up their own club-based zines – realised this was something I wanted to be a part of,” says Mutler. Mutler became part of a fan culture whose vibrancy was never reflected in the media or in the negative image ascribed to football supporters at the time. “In the eyes of the government, police, the majority of the media and general public, football fans were nothing but hooligans. Through the vast majority of people I was meeting, I knew this was not the case. “I wanted to redress the balance. When Saturday Comes published my appeal for a co-editor in late ’87. The person who I had the most in common with was Matt Stone. The Spur was professionally produced – it covered not only the team and the club but also terrace culture, both good and bad. Anyone could join in. Fanzines were funny and original, often rude and crude. Above all, they reflected a fan culture that was dynamic rather than passive and accepting. Behind the passion lies a restlessness and unease about how clubs treated supporters, some of which was to surface in later protests about the distance clubs and players have created between themselves and fans. Sometimes fanzines had a real and lasting impact, as Mutler reflects, albeit at some personal cost: “The creative and social side were hugely enjoyable. For six-plus years, I gave everything. “In turn, it consumed everything. That took its toll. We would sell a few thousand copies. We would publish pretty much anything! 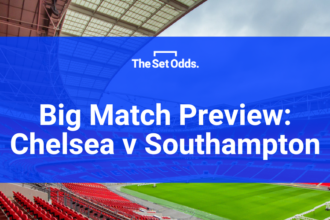 Today, I describe the experience as 99% agony, 1% joy… a bit like following Tottenham. “While there is an awful lot I would do differently if I had that time again and if I had to do a fanzine again, for the friendships that were gained – and the experience – I don’t regret it. FourFourTwo said it was “king of the fanzines”. Financially it was an unmitigated disaster. “Amongst Spurs fans, I would like to believe it influenced some behaviour. “I remember the very first match we sold at, away at Anfield, April 1988. There was a group of Tottenham fans that held up an inflatable gorilla and, thinking they were taunting the Liverpool fans, chanted John Barnes’ name. A People’s History of Tottenham Hotspur Football Club is published by Pitch Publishing, and available in all good (and bad) bookstores, on Amazon and on Kindle. Thanks to ESPN’s Tottenham correspondent Dan Kilpatrick.